The 2018 SACNAS “National Diversity in STEM” Conference took place this year in San Antonio, Texas, October 11 – 13th. 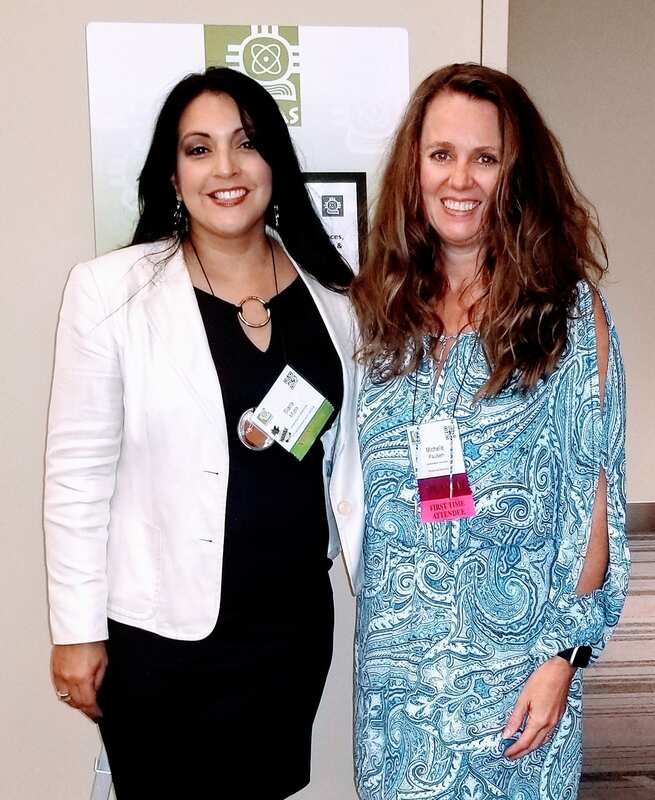 IDEAS was well represented at the conference by Program Director, Michelle Paulsen, who was invited to participate in the event as a speaker. 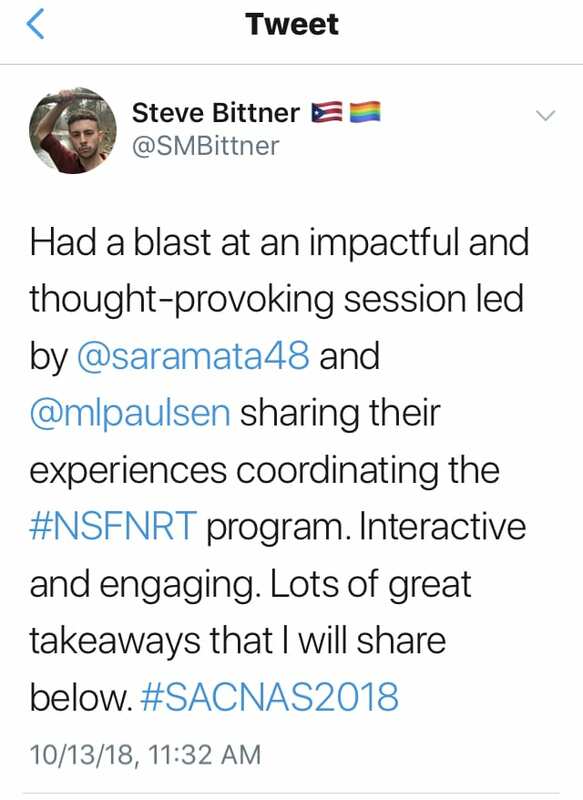 Paulsen, and co-presenter Sara Mata (NRT Program Coordinator at the University of Oklahoma), lead a session titled “Promising Practices of the NSF Research Traineeships: Promoting Interdisciplinary Researchers and Transformative Approaches to Graduate Education” which received complimentary feedback from other event attendees. This presentation focused on successful coordinating aspects of programs supporting STEM graduate students, helping them to become well-rounded interdisciplinary researchers. Paulsen and Mata shared advise on implementing graduate certificates, working across disciplines with faculty, and recruiting and retaining students. This entry was posted in Conferences, People. Bookmark the permalink.